Today I decided to make a little PWT shawlette for myself. 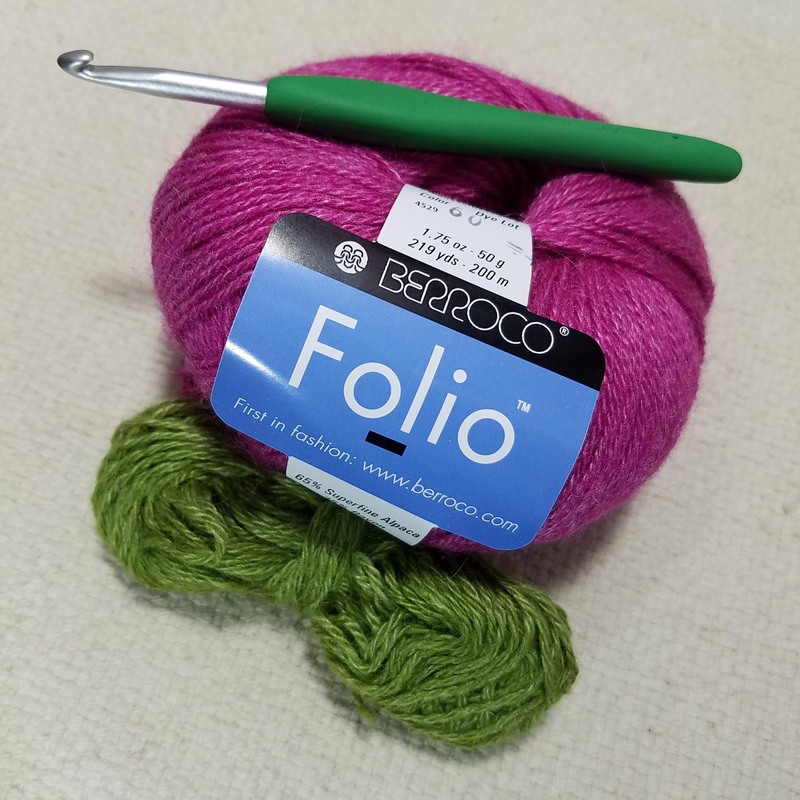 I love this “Folio” yarn from Berroco Yarns and had a little bit of green left over from another project. I thought it would go nicely with some raspberry colored that I also had. 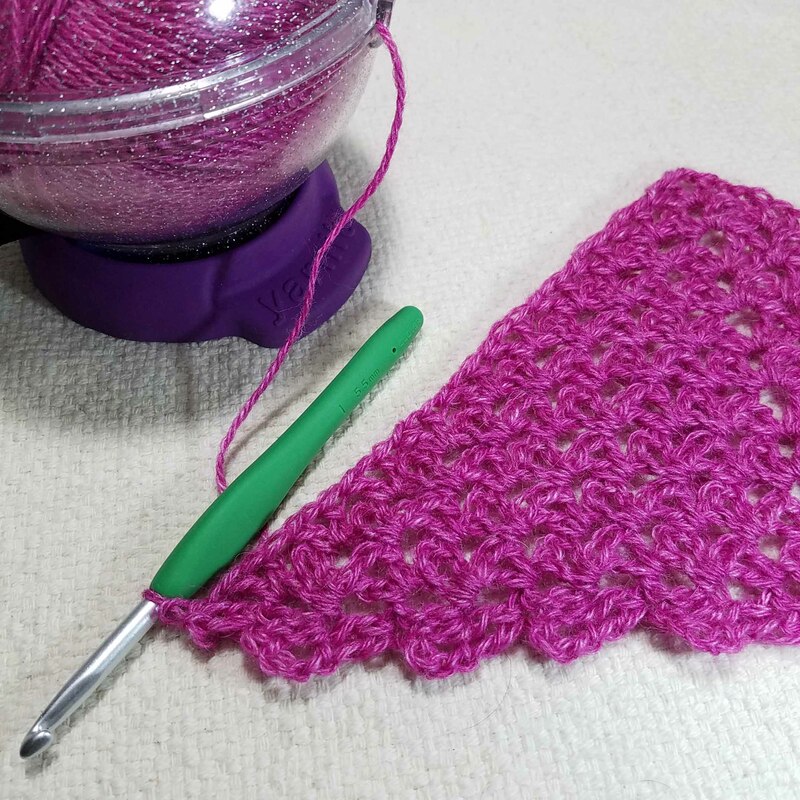 I made a swatch and did the calculations to figure out how big a shawlette I could make. Looks like this will be about 32 inches wide and 16 inches long at the point. I’m going to add some beads to the next to last body row and to the border for some bling. This little shawlette will be more like a necklace than a shawl. I’ll show you the finished project tomorrow. I’m hoping to wear this to my class I am teaching or I may use it to demonstrate adding beads to our shawl projects. Love the combination of colors! 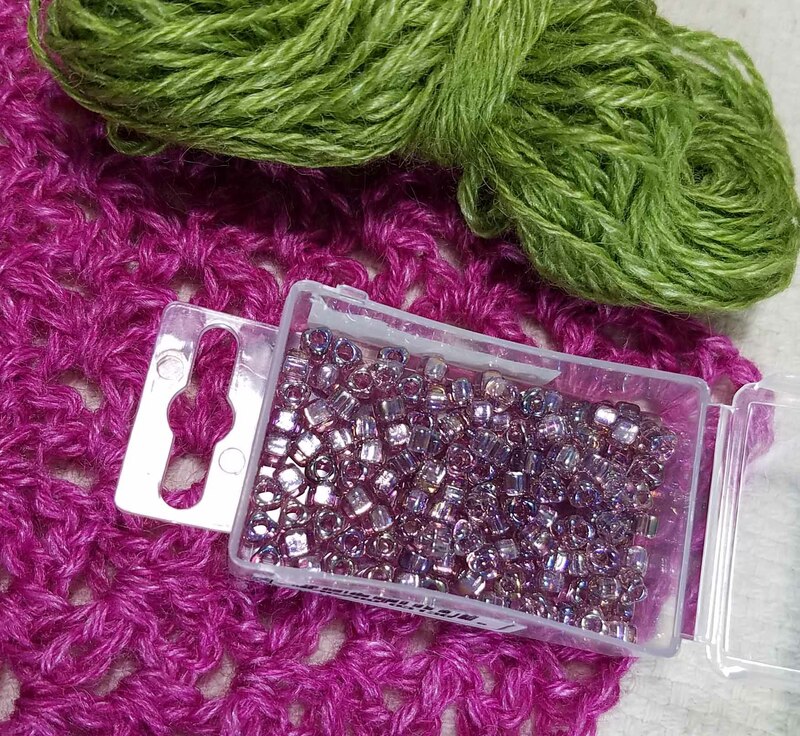 Good idea showing/teaching how to add beads to really kick it up a notch on projects!